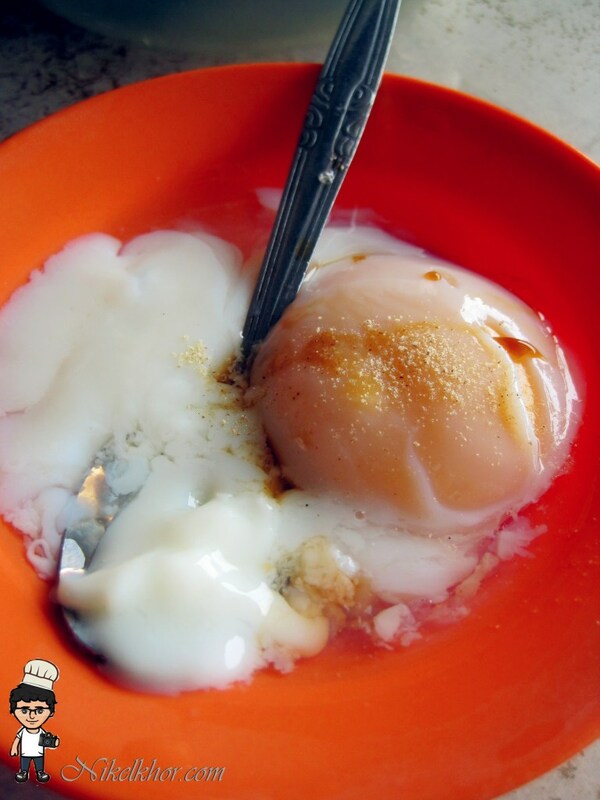 At the early morning, a simple breakfast can boost your day up and gain your stamina for the whole day. As a multi-racial country, we are pampered with choice for breakfast, no matter you are craving for American breakfast, English breakfast or local nasi lemak or roti canai, it is not too difficult to get them. 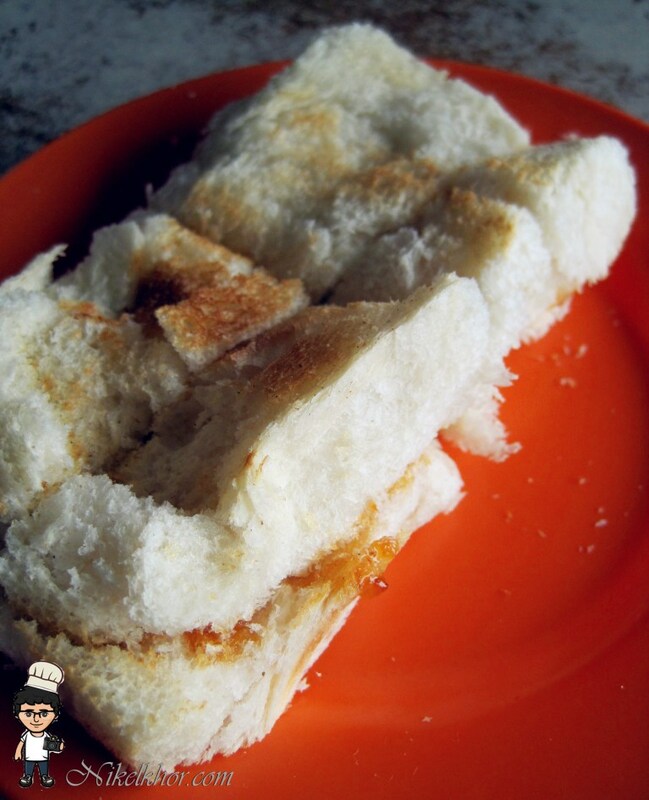 But the old school Chinese Kopitiam always impress me a lot with a simple roti bakar, coffee and half-boiled egg. It is the taste of nostalgic, and wake up my childhood memory--those days we were easily satisfied. 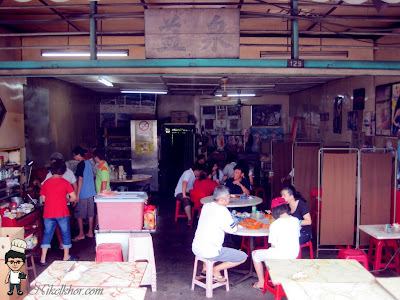 Heard that there is a very old and famous kopitiam in Kulai, this kopitiam is also known as "mid-mountain" kopitiam by local people 俗稱“半山” 古来大街. The kopitiam look very old, without much renovation and decoration, simple set up with tables and chairs, and old-fashioned partition, regular customer never despise them. Because they make good coffee, throughout the years, they still maintain the taste and standard. A simple coffee enough to make us addicted, i like the nice balance between the coffee bean bitter and non-excessive sweetness. This is definitely a piece of art from the owner who accumulates experiences for years. 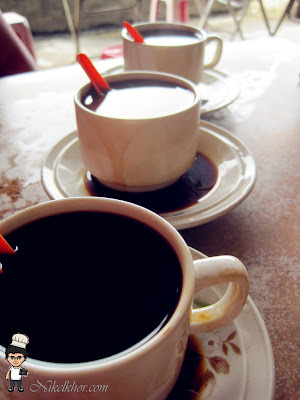 The cup on the little plate, reminds me I used to learn our old generation to pour some of the coffee on the plate before drinking to avoid being scalded, oh my beautiful childhood memory. 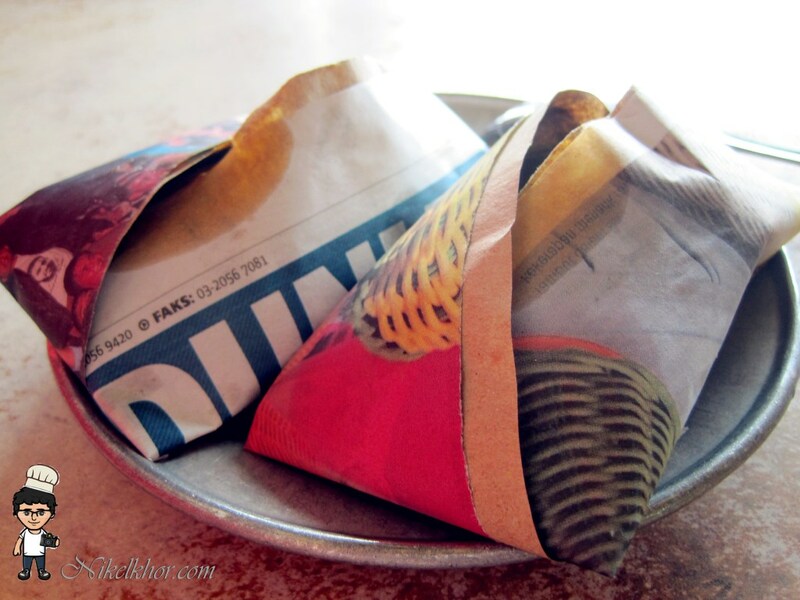 Newspaper wrapped Nasi Lemak, the old school and environmental-friendly style. This is not part of their kopitiam delight, this can be found wherever they have consignment to the shop. 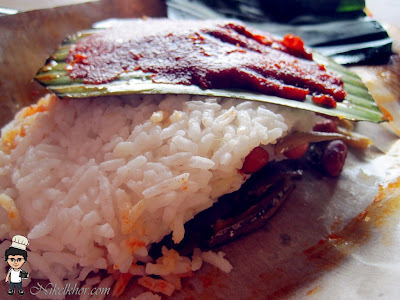 I just took it because southern Nasi Lemak is unique to me from other part of Malaysia, their sambal is separate by banana leaf. Beside that, I found it much comfortable for those who does not really take spicy and can add on the sambal according to their taste. Not too presentable anyway after long time trapping in newspaper, and it is too simple with only sambal, ikan bilis and peanut. Coffee-making and Roti-baking in progress. This is not modern cafe with barista and coffee maker machine, everything comes from owner and family's hands and hardwork. 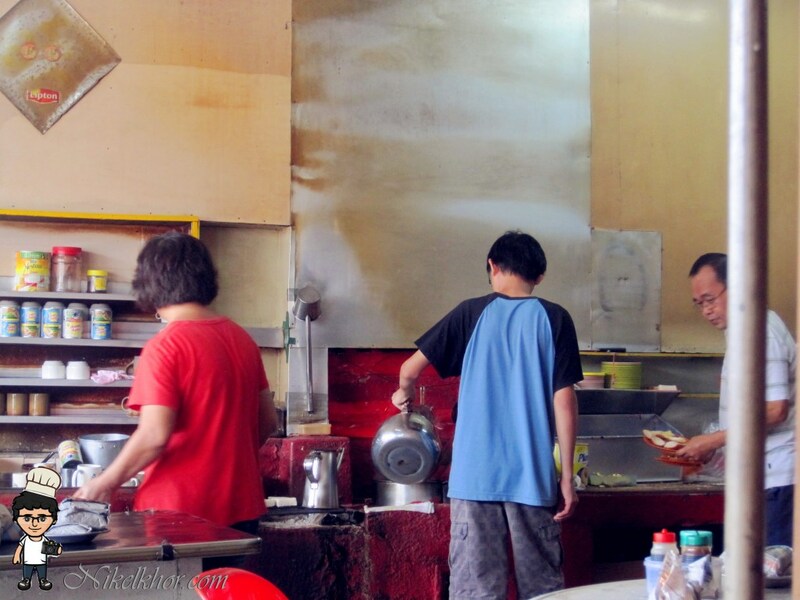 The kitchen is just located in the front part of the shop, where customer may witness the making process. They offer two kinds of roti, either toasted bread or steamed bread. I like the thickness of the bread, which is just appropriate to make the toast outstanding with the crispy outer layer, and fluffy and soft texture inside. The normal kaya and butter filling simply make my day! 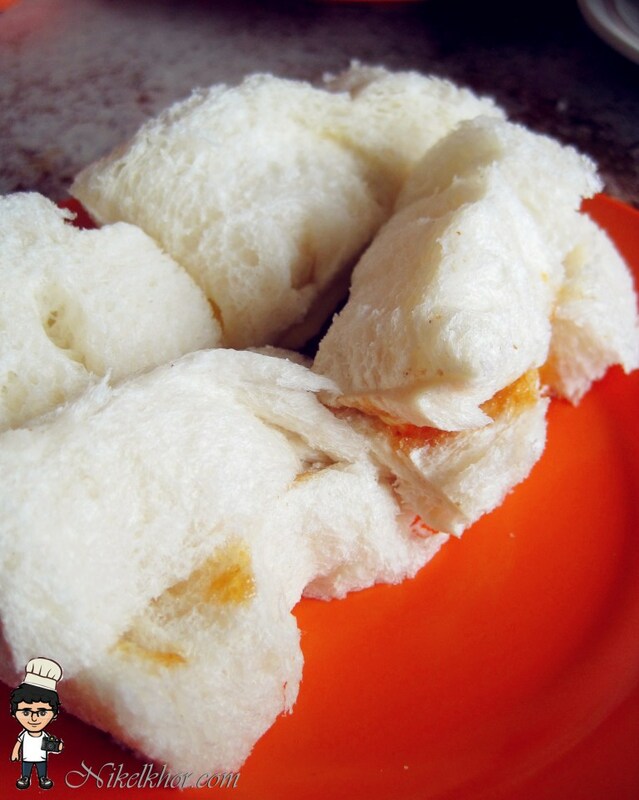 Steamed bread is good too, which allow you to taste the original taste and freshness of the roti. A generous slice of cold butter is hidden between the layers. The owner considerately cut the roti into 4 biting size, easier for us to share. Hey now u are in Johor ka? No longer in PJ? @smallkucing Ya.. Currently move to Johor d.. BBWBS?? ?